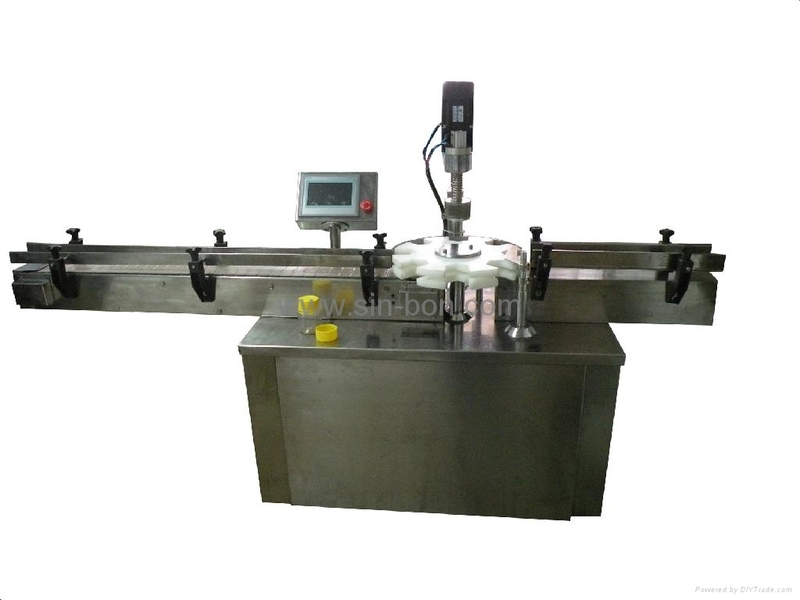 Automatic Screw Capping Machine includes automatic supply bottles, automatic screwing caps and PLC control etc. main parts. Electric control to finish automatic supply caps when bottle coming, if bottle not coming, it won’t supply caps to bottle.